Giannis Antetokounmpo is at the forefront of minds across the NBA, but nobody is considering the future of the Greek Freak more than the Milwaukee Bucks. "Down the road, more obstacles loom. Antetokounmpo's contract is up after 2020-21; 'We think about it strategically every day,' says Horst. "Other franchises can promise brighter glares, glitzier supporting casts. Horst hopes that by building a basketball culture akin to the Spurs' and Warriors'—inclusive, personal and 'laser-focused on excellence'—the Bucks can re-sign him. (So far, Giannis has said he loves Milwaukee and shows little interest in, as [head coach Mike Budenholzer] puts it, 'all that bulls--t and fame.')" And why wouldn't Antetokounmpo love Milwaukee right now? The Bucks have ascended as the unexpected kings of the NBA this regular season, sitting atop the Eastern Conference with a league-best 58-20 record. On Wednesday afternoon, Bucks forward Khris Middleton thanked Antetokounmpo for getting him on a Sports Illustrated cover—albeit in the background of a dunking Giannis. Just one more example of Antetokounmpo elevating all of those around him. Across 70 of those 78 games this season, the potential league MVP has led all of his teammates in minutes per game (32.8), points per game (27.4), rebounds per game (12.5) and assists per game (5.9). It's likely Antetokounmpo could pick up and perform at an equally high level on any team of his choosing. With players increasingly taking back the power dynamic in the NBA when it comes to dictating their futures, the question does loom: What would keep Antetokounmpo in Milwaukee? That answer is most likely complex and impossible to predict, especially considering how many variables could change between now and 2021. However, as currently constructed, the largest factor may be Budenholzer. "When you see the coach want it as bad as you want it, it feels really good," Antetokounmpo told Ballard after fondly disclosing a story about Budenholzer's competitive nature aligning with his own as the 49-year-old coach dove onto the floor in the locker room to inspire his team to go after 50-50 balls. This is Budenholzer's first year as head coach in Milwaukee, and Antetokounmpo is averaging career-highs in points, rebounds and assists while the Bucks have vastly improved as a whole. The ultimate factor is—of course—winning, and the Bucks are in the driver's seat heading into the postseason. 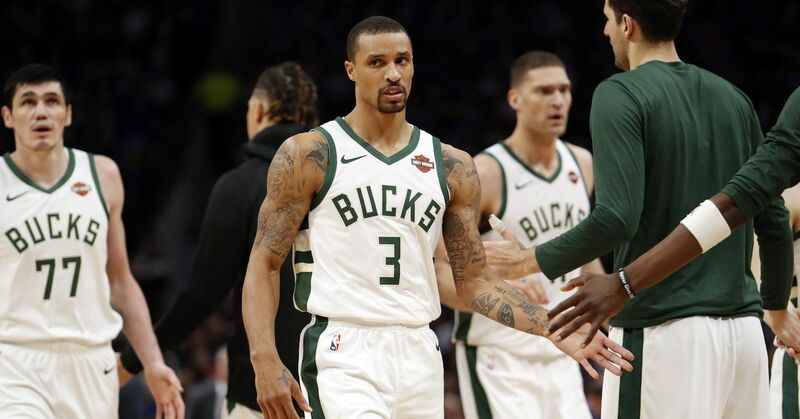 Being the kings of the regular season doesn't keep an athletic marvel in Milwaukee; navigating a deep Eastern Conference to arrive in the NBA Finals to (presumably) challenge the Golden State Warriors, however, could.